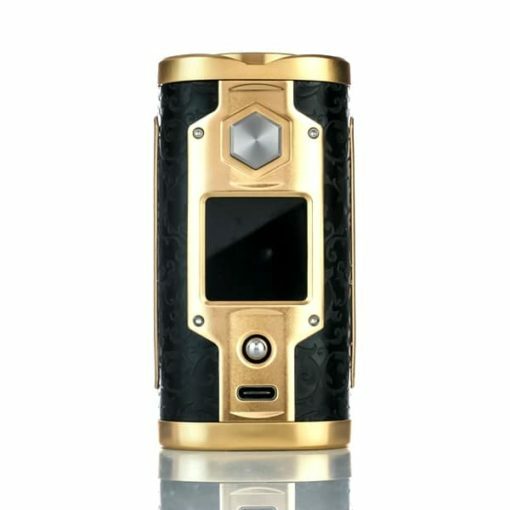 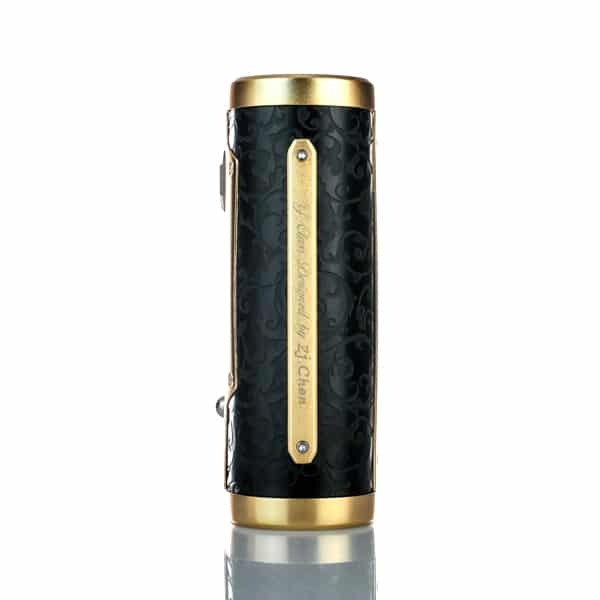 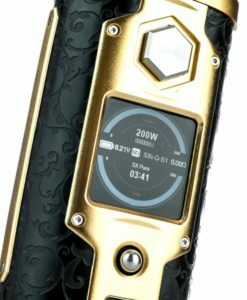 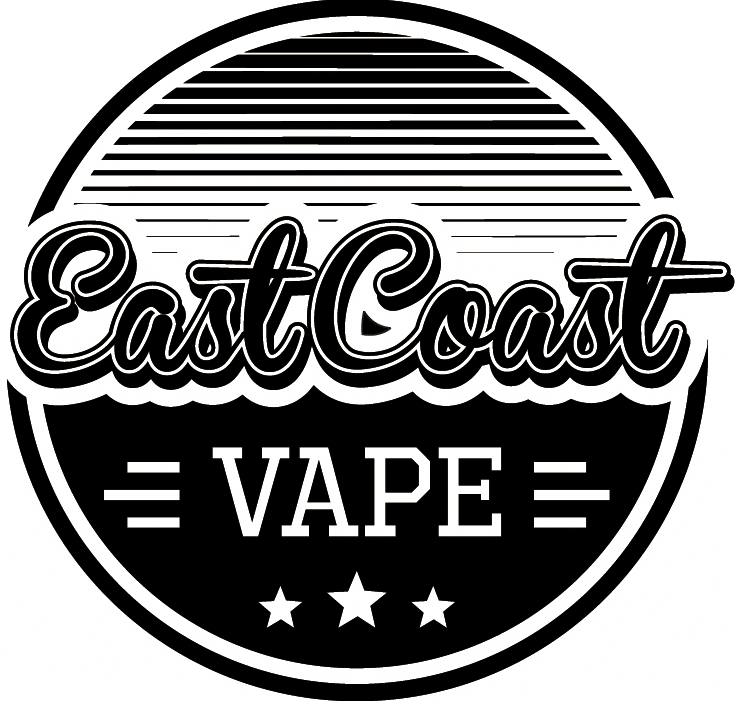 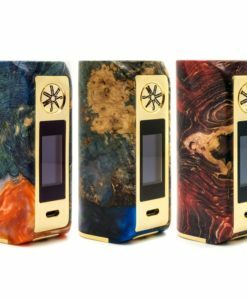 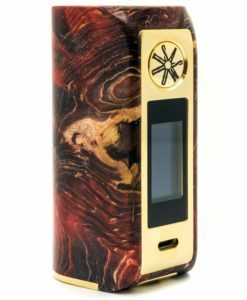 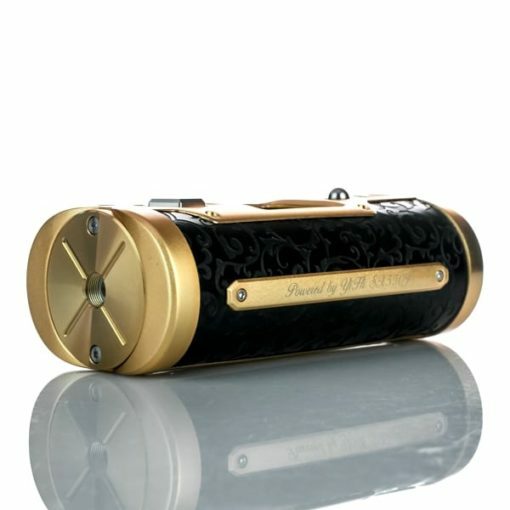 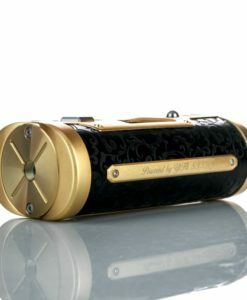 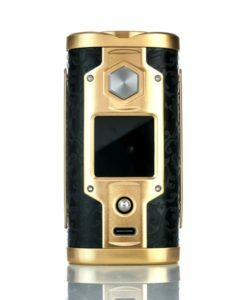 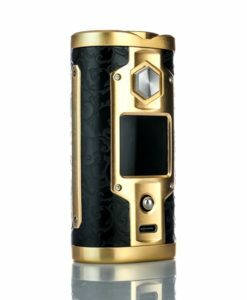 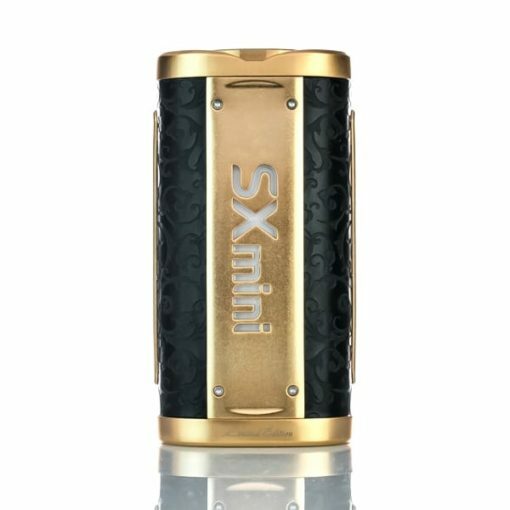 YiHi SX Mini G Class SX550J Luxury Gold 200w Mod - Limited Edition - East Coast Vape Co. 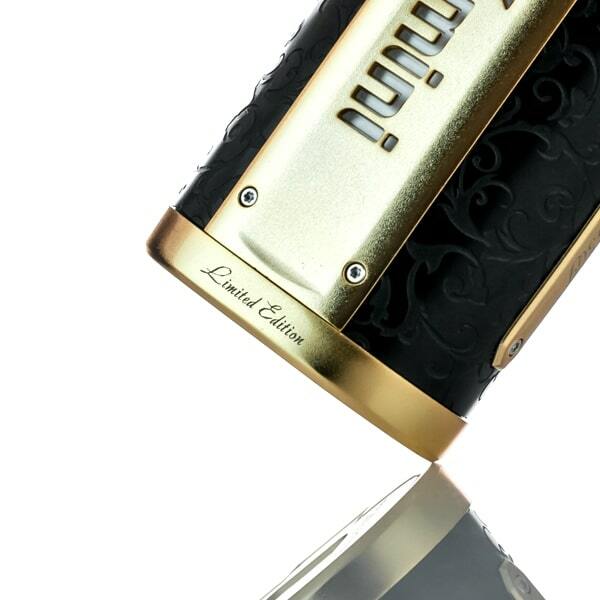 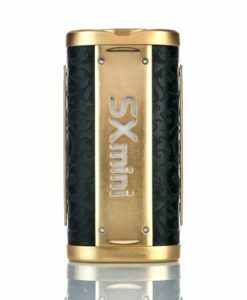 The new Limited Edition Luxury Gold SXmini G Class by YiHi is powered by the new SX550J chip. 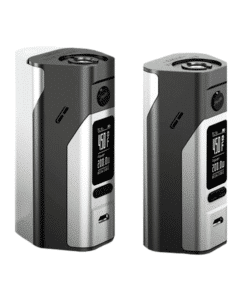 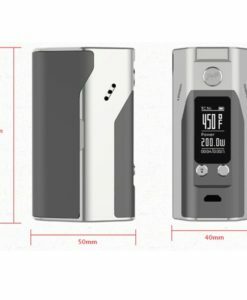 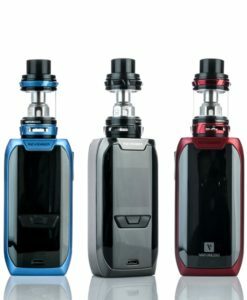 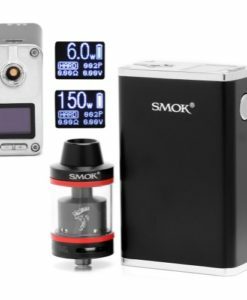 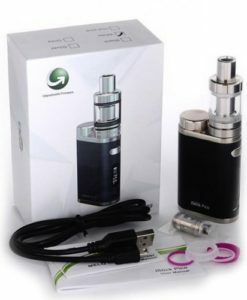 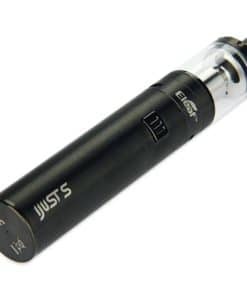 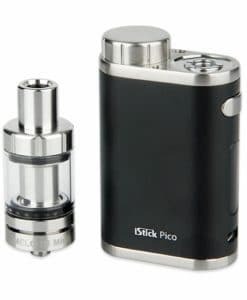 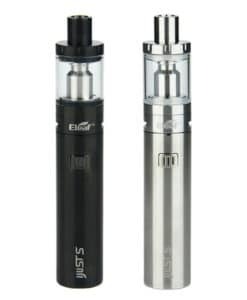 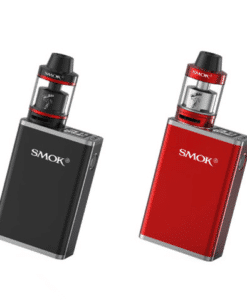 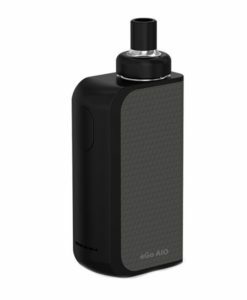 The G Class is a small, compact dual 18650 battery mod offering excellent battery life and 200 watts of power. 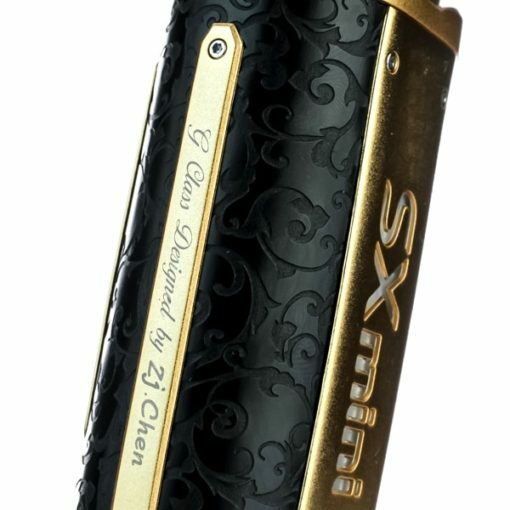 YiHi’s SXMini G Class Luxury Gold Limited Edition Box Mod integrates the YiHi SX550J-L chip set which offers tremendous power, accuracy, and sophistication combined with an ergonomic chassis, unique joystick control, beautiful and robust display technology, and a 24k gold plating, photochemical etching, and anodised technique. 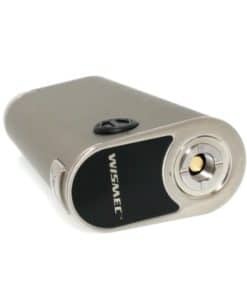 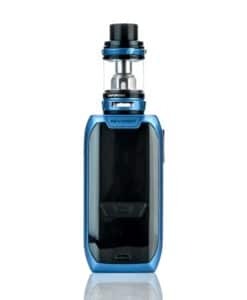 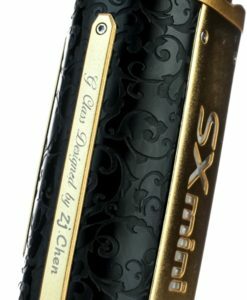 The SXMini G Class utilises the SX550J-L Chipset from YiHi, considered their top of the line flagship chipset capable of 5 to 200W of output alongside the SXi-Q Intelligent Taste Curve technology, full temperature control support, Bluetooth support, and precision and accuracy that rivals the best available on the market. 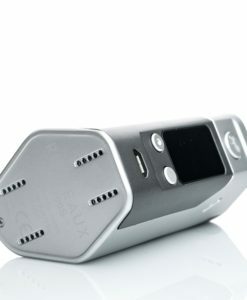 SXi-Q Intelligent Taste Curve technology is loaded onboard, featuring a sophisticated algorithmic calculation that allows users to set, fine tune, and save 5 output curves. 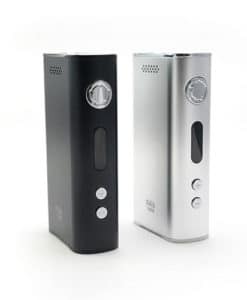 YiHi’s highly regarded temperature control technology has native support for standard TC heating elements, and TCR functionality with Joule and Degree based settings. 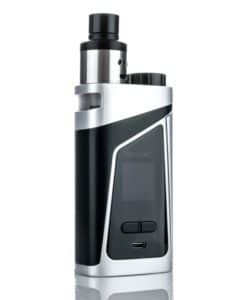 The SX550J is also capable of Bluetooth connectivity and adjustment, allowing users to set and adjust the G Class from compatible phones. 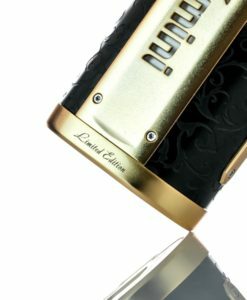 The Coloured OLED display features a vibrant display along with multiple arrangements and layouts that users can choose between, offering a dynamic display experience beyond many of the G Class’ competitors. 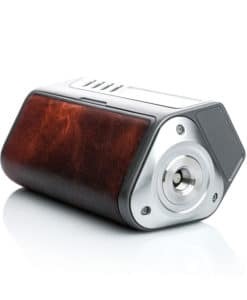 Additionally, YiHi has taken a bold approach with the integration of a joystick control, allowing a multidirectional and intuitive adjustment experience that practically none of it’s direct competitors offer. 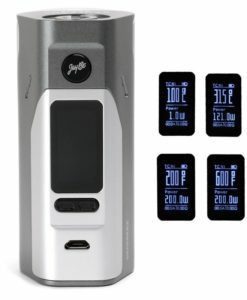 Driving the entire system are two high amperage 18650 batteries (Batteries sold separately here), with a rapid 2A maximum charge port for minimal downtime. Driving YiHi’s line-up as the undisputed flagship and centre piece amidst a highly regarded line-up, the SXMini G Class SX550J-L Luxury Golden 200W Box Mod is truly one of this generation’s most sought after high end performance devices. 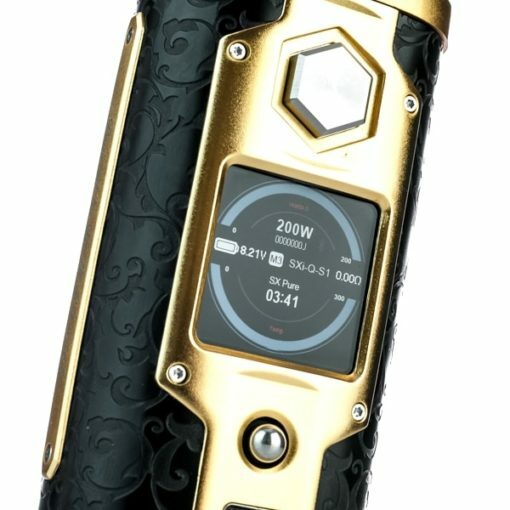 IMPORTANT: Batteries must be matched in brand, model and battery state at all times. 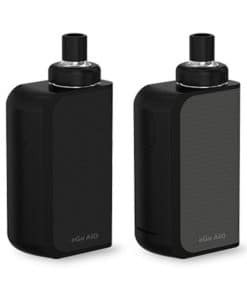 Discharge and recharge batteries within the same grouping of two. 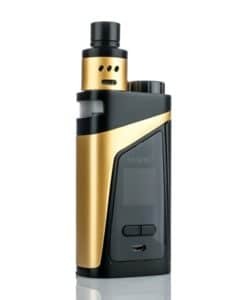 Failure to do so may result in injury. 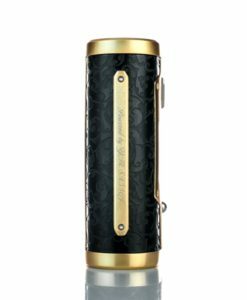 Never use damaged or improperly wrapped batteries with any device. 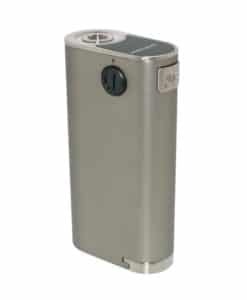 Make sure the user has enough knowledge of Li-Ion rechargeable batteries in charging, discharging and assembly before use. 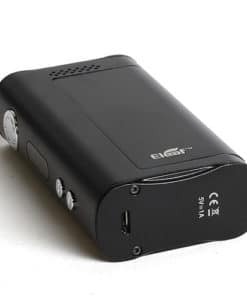 We recommend always using a trusted brand external battery charger and never to charge your batteries through the actual device. 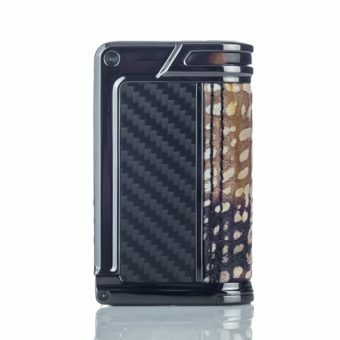 Always charge in or on a fire-proof surface. 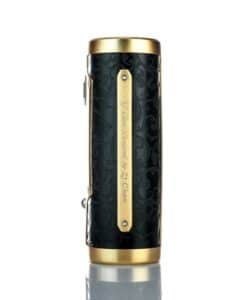 Never leave charging batteries unattended. 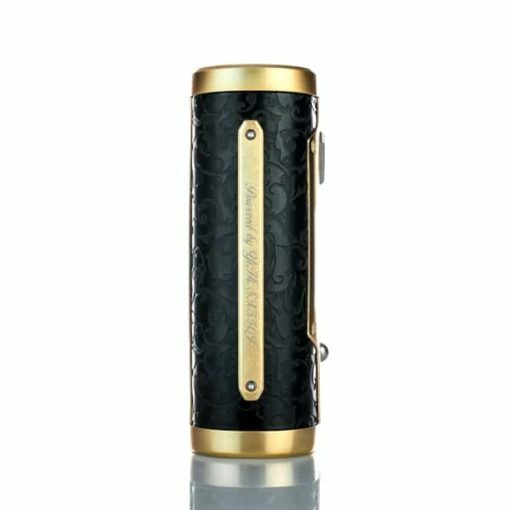 We will not be held responsible for damage if there is any modification of the batteries/chargers in any form. 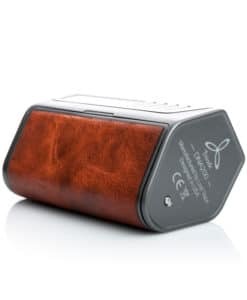 We are not responsible for any damage caused by misuse or mishandling of Li-Ion batteries and chargers.